UNDERCOVER footage from animal rights campaigners showed sheep being thrown and having their throats cut repeatedly. 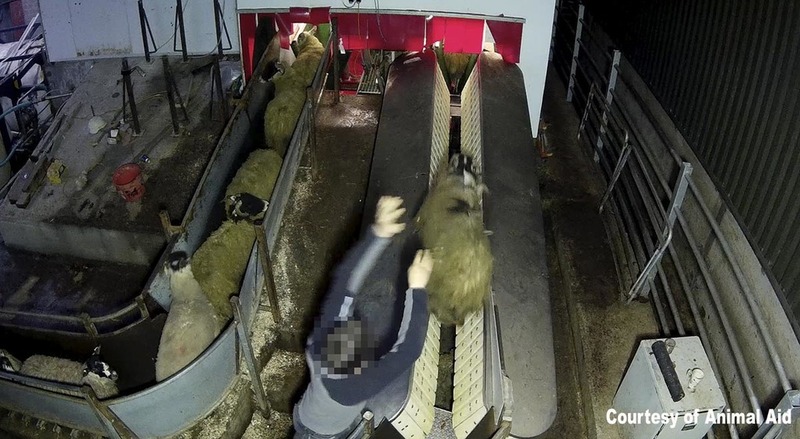 Malik Food Group in Lancashire is under investigation from the Food Standards Authority (FSA) after animal rights campaigners filmed undercover footage of animal cruelty. Slaughtermen at the halal abattoir in Dunnockshaw, Burnley were filmed throwing sheep and having their throats cut repeatedly by Animal Aid. Malik Food Group took over the business from Riley Brothers, which collapsed in December 2015. A spokesman for Malik Food Group said animal welfare was ‘paramount’ to their business. It confirmed the footage was being reviewed by the company and FSA. “Malik Group will work closely with the FSA to ensure that any findings or recommendations made by the FSA are addressed, and where required, implemented immediately. A FSA spokesman said: “Animal welfare is a high priority for the FSA and we take all alleged breaches extremely seriously. Luke Steele, farming and slaughter campaigns manager at Animal Aid, called on the Government to introduce mandatory CCTV into abattoirs. “Animal Aid’s latest investigation inside a UK slaughterhouse has uncovered barbaric and deliberate cruelty being inflicted on animals, in horrific scenes unlike any we have ever seen before,” he said. “There is no doubt that lawbreaking continues to be an inherent problem in abattoirs.